Looking to get some culture out of your hotel experience? 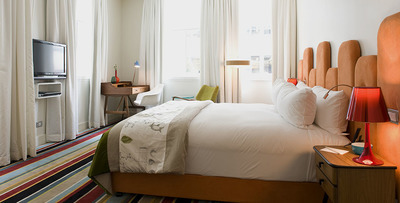 Try Hotel DeBrett for a hotel steeped in history in a chic part of town. Built in 1841, Hotel DeBrett began as The Commercial Hotel and was one of Auckland’s first hotels. 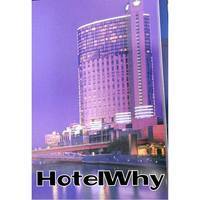 Now, it is a trendy and modern hotel; cosy with an edgy twist. Each of the hotel’s 25 rooms come with complimentary Wi-Fi and include a flat-screen TV and DVD player for entertainment. All rooms are fitted with a minibar, while some upgraded suites also have living rooms, balconies and sofa beds. A continental breakfast is also on the house for all guests and the hotel still retains the art deco style Housebar that has been the soul of the hotel since the start, complete with a great selection of spirits, wines and more. Hotel Debrett's superior room. Image Credit: Hotel Debrett. There is free parking available, but as the hotel is situated so close to most amenities, you might not need the car after all. The hotel is located right in the centre of Auckland’s busy retail district, making it just an 8 minute walk away from the Sky Tower and 10 minutes from Britomart Transport Centre and plenty of great places to shop ‘til you drop.